Brew City REI is an exclusive private social real estate investment club and available by invitation only to help unite Wisconsin real estate investors and share ideas, resources, education and tools for our local market. COMMUNITY EXPECTATIONS & GUIDELINES: Being part of the Club is a privilege, not a right–please act responsibly and respectfully. When joining the group, members are asked to review these requirements below. Not following the rules and guidelines will automatically suspend your current and future access to the club. 1. NO SPAMMING/LIST BUILDING/PITCHING: We encourage members to share their business resources and updated industry information/articles but PLEASE DO NOT SPAM THE GROUP. NO DIRECT ADS ALLOWED–If you are interested in advertising, contact brewcityrei@gmail.com. Responding with your business information or giving advice on applicable threads is encouraged and limitless. The community is not a platform to be used as a marketing tool for list building or to pull contacts outside of the community for your own promotional or marketing purposes. Posting affiliate links, selling, and solicitations are strictly prohibited and enforced – this includes collecting contact information and emailing members directly to offer products and/or services. BLIND ‘Cash Buyers Wanted’ posts are not allowed. If you are looking to build investor relationships, post your investment deals and opportunities. Further, members are prohibited from offering something free in an attempt to list build and collect contact information for marketing purposes. Use #sponsored or #ad for any recommendations or posts where you work for the company in some way or are rewarded or compensated for the referral. 2. OTHER REI EVENTS/PITCHING/COACHING: This group is reserved for BREW CITY REI CLUB events and BREW CITY REI TRAINING CAFÉ EVENTS/COACHES ONLY. Other posts or mentions related to paid or free Real Estate Clubs, coaching, consulting, events, workshops and real estate training are not allowed on the page without prior approval by administration. The Brew City REI Training Cafe is open to all members. Any member can submit a request to be a coach, sponsor or have a menu item featured. General guidelines are that you have a proven success rate in the topic you are coaching/pitching. Contact brewcityrei@gmail.com for more information. 3. POSTING DEALS: Any properties or investment deals can only be posted if you have the property DIRECTLY under contract. PRICE must be indicated on all posts. Address is not required BUT CROSS STREETS are. No DAISY CHAINS or sharing posts without permission from the contract holder or owner. 4. GENERAL POSTING RULES: Before posting a request, SEARCH first and reply back on threads as to who has been used. Members who repetitively post generic ‘LOOKING FOR’ requests or requests that they could search for, may be removed from the club especially if they show no history of ever helping another member, sharing reviews, or attending Club meetups/social events. After using a contractor, share a review of your experience. 3.PARTICIPATION/MEMBERSHIP: The club operates on a ‘pay it forward’ philosophy and is a give-take. While the group is free, participation is REQUIRED, asking for advice and contractors without ever giving back to the club either by sharing experiences, help or reviews is not acceptable–this club only works because people give as much and more than they take. Inactivity or only posting requests for help but never offering to help, sharing reviews of contractors/members hired or going to meetups may result in removal from the club. 4. NO BAD MANNERS, negative or abusive comments or posts. We are here to help each other and learn from each other in a positive atmosphere. Be kind to one another. No rudeness allowed. The group is NOT a place to voice political or religious views. We respect your beliefs and opinions but our goal is to embrace all members of the community. 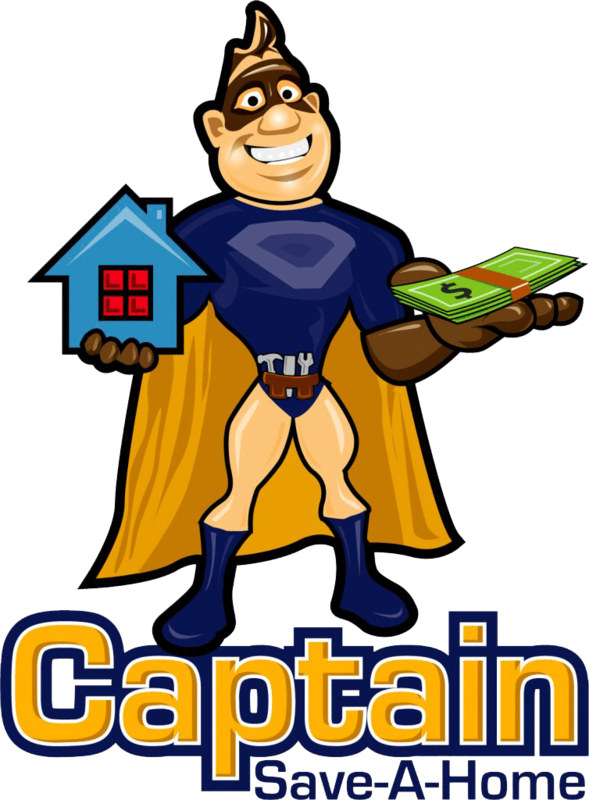 Although Captain Save A Home LLC moderates the group, we are not able to review and approve or otherwise verify all the content that is posted by the members of the community. By accessing, viewing or using the community, you are acknowledging and agreeing that the information offered by other members is presented as-is and Brew City REI Club & Captain Save A Home LLC disclaims any and all warranties. You are ultimately responsible for any advice that you act upon from the community or any transaction, business relationship or vendor relationship that you enter in. We strongly encourage you to speak to professionals, to discuss any transactions or real estate strategies that you may have learned from the group. Some strategies or advice may not be complete, accurate or may only be applicable in certain jurisdictions and so we recommend that you exercise extreme caution. If you participate in any transactions with community members, you must perform your own due diligence and complete all documentation needed to protect your position. In any business or real estate transaction, there are risks involved and you, as a business owner, are ultimately responsible for all outcomes, financial gains or losses in the transaction. In an event a dispute arises between community members, we reserve the right for both members to be removed from the community until the dispute is resolved. In no event will we act as an intermediary and we encourage you to communicate and work directly to resolve such disputes. THIS GROUP IS FOR ENTERTAINMENT AND NETWORKING PURPOSES ONLY. The information and opinions on this site are general in nature and is not intended to substitute for professional consultation and should not be considered legal advice. These expectations and guidelines may be amended from time to time and you agree that by visiting, viewing, using or accessing this community that you have read, understand and agree to be bound by them. If you do not agree, then you may not access or utilize the community in any way. Your use and access is expressly conditioned upon the assent to all of the expectations and guidelines. ****Brew City REI Club Administration reserves the right to remove any posts and suspend or revoke community access without prior notice or consent. This club is run by volunteers. Please be respectful of each other and the Club rules. Members who do not comply with the rules may be removed from the club. Brew City REI, where deals come true…..